*NOTE: If this is the first time you have hit these objectives, I am only covering the new things in vSphere 5 and the VCAP5-DCA blueprint over and above what was already covered so well by Sean Cookston’s,Ed Grigson’s and Kendrick Coleman’s Blueprint Breaksdowns for the VCAP4. Host profiles are extremely important in vSphere 5 environments and are a requirement for Auto Deploy. This is another objective I think you need to practice in your lab and do all the things listed below. If you don’t know about Host Profiles in vSphere 5 (which you should from your VCP5 studies) then there is a really good KB pdf by VMware that covers it all here. The guys from the vBrownbags have covered the whole of Objective 5 very recently here and Damian gives a great overview of it and some top tips. Loads of lab practice necessary for this objective which burnt a fair amount of my time. A fair amount of it is the same but due to it now being linked to Auto Deploy I wanted to really get my head around it all and how the answer files tie in. 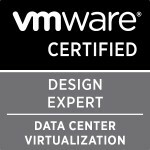 Categories: Certifications, VCAP, Virtualisation | Tags: Host Profiles, Use Host Profiles to deploy vDS, Use Host Profiles to deploy vStorage policies, VCAP, VCAP5, VCAP5 Blueprint, VCAP5-DCA | Permalink.